Decorative iron gate at cave entrance in a Buddhist temple on the Chomphet Hike, Luang Prabang, Laos. Photos copyright John Hunter. 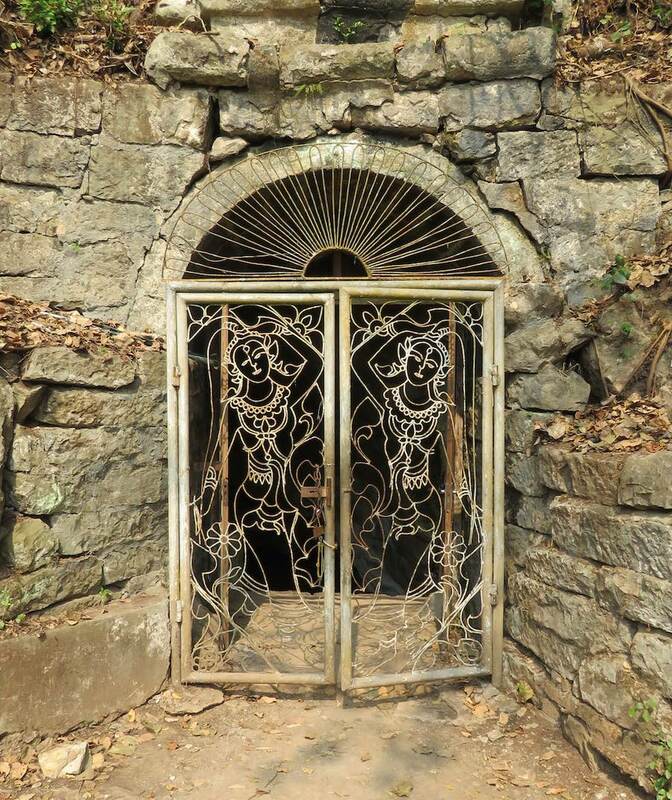 Decorative iron gate at cave entrance is available for use as creative commons attribution. Only photos noted as available as creative commons attribution may be used without permission (in the manner described only), other photos may not be used without permission.